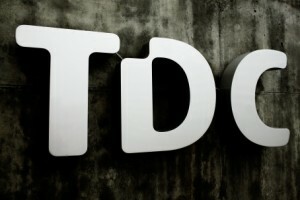 Danish telco TDC has agreed to sell its Norwegian business to Sweden’s Telia for NOK21 billion (€2.2 billion). TDC is selling cable operator Get and telecom subsidiary TDC Norway to Telia, leaving the Danish company to focus on its domestic operation. Telia said that the agreement would position it as a strong challenger in mobile, TV and broadband in the Norwegian market, where it will compete head to head with Nordic rival Telenor. “It is with great excitement and commitment that we announce the agreement to acquire Get and TDC Norway. It will create a leading convergent operator for both consumers and enterprises in Norway, which can compete in the market with a lot of attractive and new products and services,” said Johan Dennelind, president and CEO of Telia. In May Telia confirmed reports that it was in talks to buy Bonnier’s broadcasting business, comprising Swedish broadcaster TV4 Group, pay TV outfit C More and Finland’s MTV. The company said at the time that “content is an important part of the company’s future strategy and we continuously investigate possibilities in this and other areas”. The agreement with TDC will see Telia take responsibility for 900 employees and a business with over one million customer relationships. The sale, which will see Telia take control of the two Norwegian businesses at an EBITDA multiple of 12.1, is expected to close in the second half of this year, pending approval by the Norwegian competition regulator. Get has 428,000 TV customers and 372,000 broadband customers and is the second biggest provider of TV and broadband services in the country. Get and TDC Norway together generated a turnover of DKK2.56 billion (€343 million) and DKK0.65 billion respectively last year, representing about 15% of TDC’s overall group revenue. The two companies’ operating profit was DKK1.39 billion last year. TDC, which acquired Get for NOK 13.8 billion in 2014, said that its vision was now to provide high-speed and high-quality connection to Danish homes through fibre and mobile networks, and to develop innovative digital solutions for its domestic market. The company will generate a profit after tax of approximately DKK5 billion on the transaction. Outgoing TDC Group CEO Pernille Erenbjerg said that following the company’s review of its strategy, it was “clear that we do not need to own these business units to succeed in what is actually a Danish-focused ambition”. TDC’s withdrawal from Norway follows the acquisition of the company by infrastructure investment group Macquarie earlier this year. The company announced a new organizational structure at the end of last month. Macquarie’s acquisition of the company had an immediate impact on the company’s forward strategy, with the abandonment of a deal to acquire Swedish free and pay TV outfit Modern Times Group’s broadcasting and streaming arm.